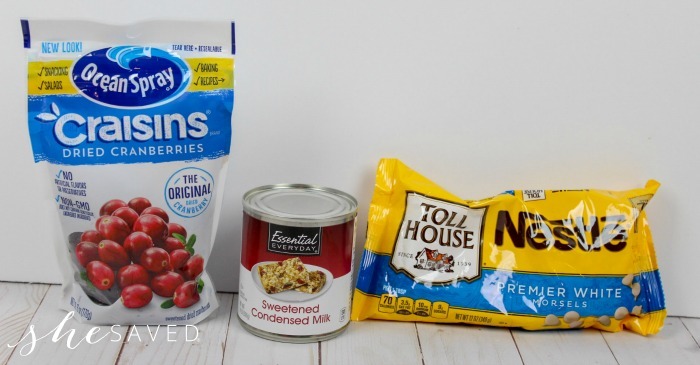 Here’s a fun and easy holiday treat that comes together with just THREE ingredients! 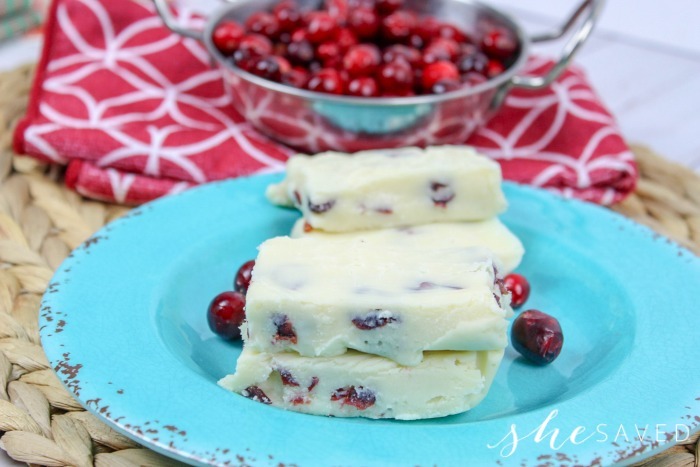 This Easy Cranberry Fudge recipe is one that looks so festive and pretty and easy enough for about anyone to make. 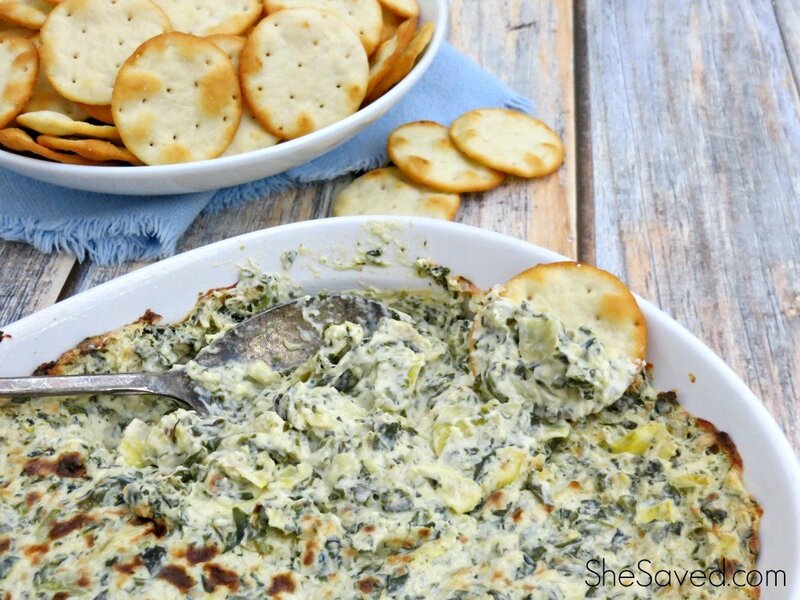 Since it’s made using the microwave, it’s a great starter recipe for tweens and young chefs. 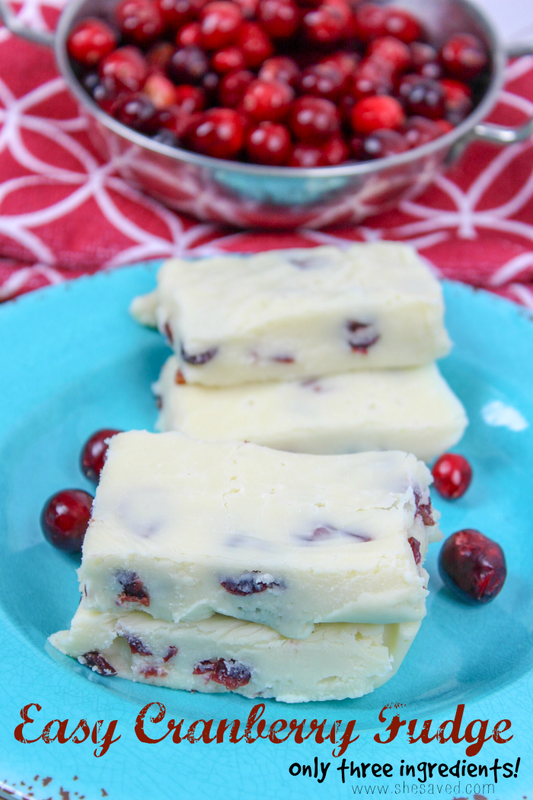 This Easy Cranberry Fudge recipe is great for holiday gift giving and a great addition to your festive holiday table. If you are a Craisins fan, then fudge made with craising is a delightful treat that will become a new favorite. We love Crainins in and on everything, so putting them in fudge was an instant hit! 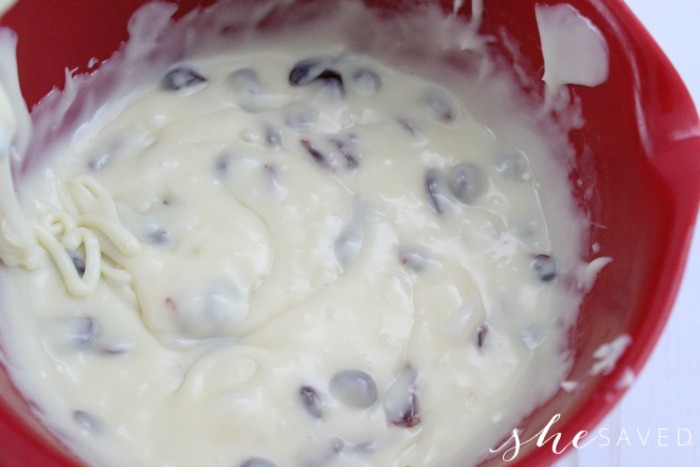 In a large microwavable bowl, heat the white chocolate chips and condensed milk for one minute. Stir and then heat in 30 second intervals, stirring each time after until it’s completely melted and smooth. 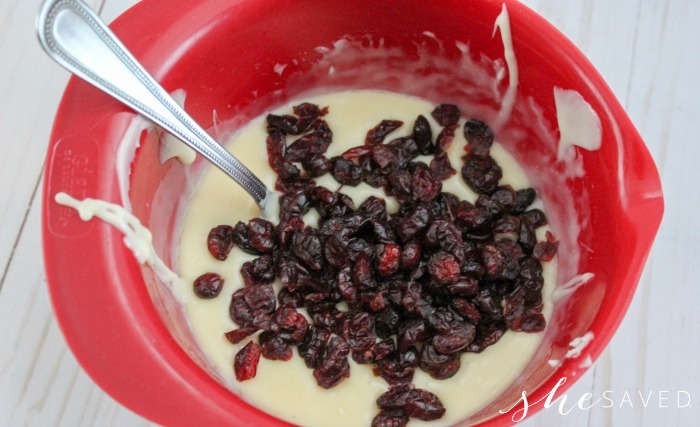 Add the dried cranberries and stir until completely mixed. 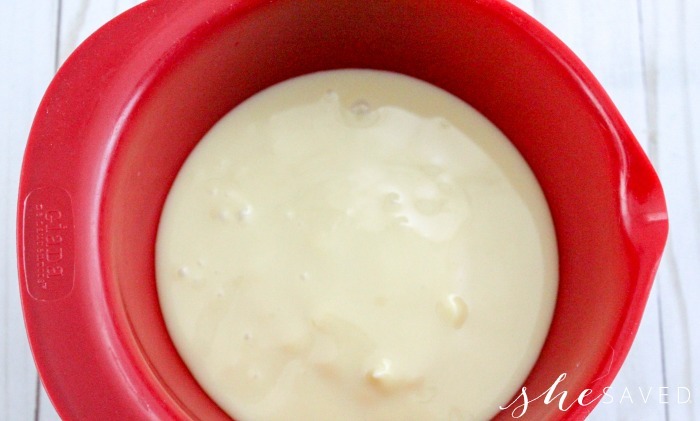 Pour the mixture into the prepared pan and use a spatula to spread smooth. Refrigerate for 4-6 hours until firm. 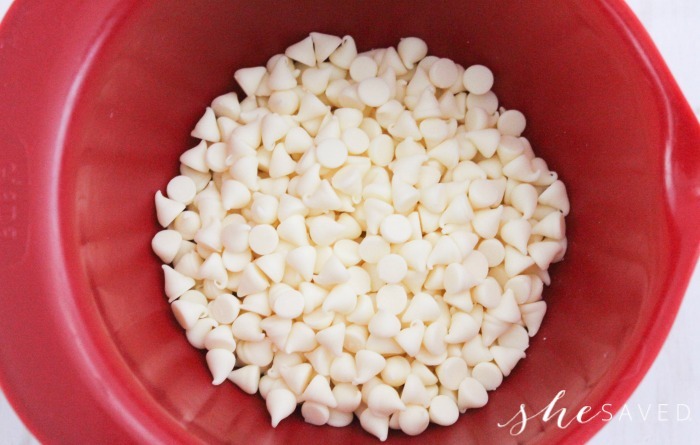 In a large microwavable bowl, heat the white chocolate chips and condensed milk for one minute. Stir and then heat in 30 second intervals, stirring each time after until it's completely melted and smooth. « HUGE Magazine Sale + FREE Gift Announcement Postcard! 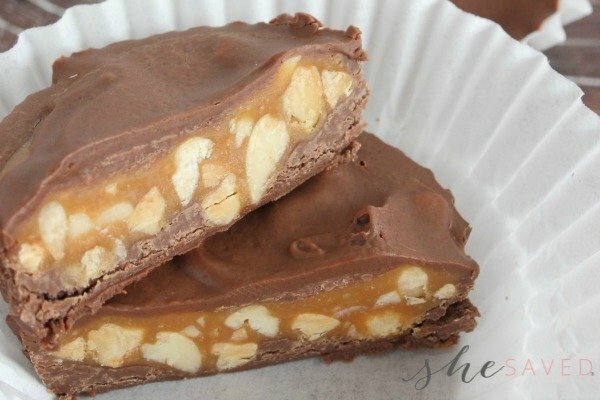 I just made this & I think it may become our new favorite fudge!! 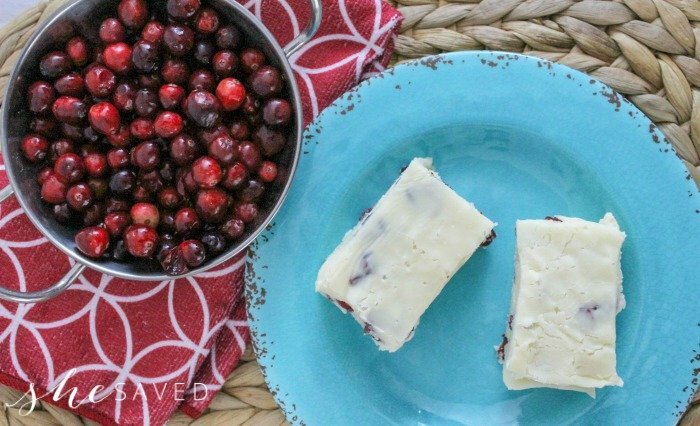 We love cranberries & this is a hit in our house.